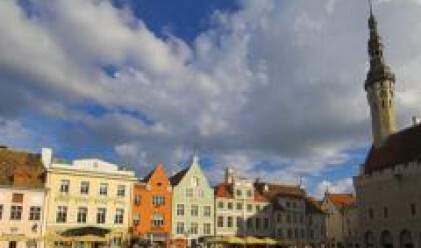 Estonia's Finance Ministry cut its 2008 economic growth forecast due to slowing domestic demand and a weaker global economy, and said it expects a fiscal deficit through 2011 after surpluses in past seven years, Bloomberg reported. Gross domestic product will expand 3.7 percent this year and 6.4 percent in 2009, the ministry said in its semi-annual review of forecasts on its Web site. In November, it had forecast 2008 growth of 5.2 percent and 2008 growth of 6.1 percent. The ministry forecast a budget deficit of at least 1.1 percent of gross domestic product through 2011. Banks such as Danske Bank A/S and SEB AB expect the Baltic country's economy to slow to between 3 percent and 3.5 percent this year from an eight-year low of 7.1 percent last year as decade-high inflation and weakening consumer and business confidence cut consumption, borrowing and investment. Parliament adopted the 2008 budget in December with a surplus of 2.7 billion krooni ($270 million), or 1.3 percent of planned gross domestic product. Finance Minister Ivari Padar said at a press conference in Tallinn that the government decided today to cut spending by 3.1 billion krooni. Prime Minister Andrus Ansip said last week public spending cuts are ``unavoidable'' given a slowing of the economy and waning tax revenue. Estonia uses budget policy as its main tool for controlling inflation because the Baltic nation has a fixed exchange rate under a currency board system. Prices, harmonized to European Union standards, will probably rise an average 9.1 percent this year and 5.3 percent next, the ministry said. It had previously forecast a 2008 inflation rate of 8.5 percent, and 5.5 percent for 2009.